Steep fresh or dried nettle leaves in boiling water for 15-20 minutes. Then cool down and strain the liquid. Finally, add a few drops of essential oil to finish the preparation of the tonic. Being full of iron, common nettle can promote the growth of hair by boosting the blood circulation throughout the scalp significantly. It can also prevent dry scalp by curing sebum imbalance. Prepare an effective hair tonic by boiling a handful of tea leaves in a cup of water and straining it after cooling down. Using it regularly on your hair will give you smooth and silky locks with added luster. You can make a horsetail hair tonic by boiling some fresh horsetail in a cup of water. Strain the liquid after some time. It is rich in silica, which helps in making hair stronger, thereby averting excessive hair fall. Lemon juice itself works as a wonderful hair tonic, which can be added to the bath water to get shiny hair. However, you can also mash some banyan tree root and mix lemon juice with it for preparing another hair tonic to reduce hair fall and increase hair growth. Take equal amounts of hibiscus flowers, hibiscus leaves, basil leaves and bay leaves and drop them into 3 to 4 cups of boiling water. Once the mixture becomes pinkish green in color, take it out of the heat and cool down. This hair tonic is extremely helpful in making hair healthy, strong and lustrous. Boil a few walnut shells in some fresh water and use it as a hair tonic. Your hair will start glowing within 2 to 3 weeks. Onion juice is another awesome hair tonic that you can directly apply on your scalp as well as hair. It is known to stimulate our hair follicles and strengthen our hair to a great extent. Chop up a handful of rosemary leaves and combine it with some crushed parsley seeds. 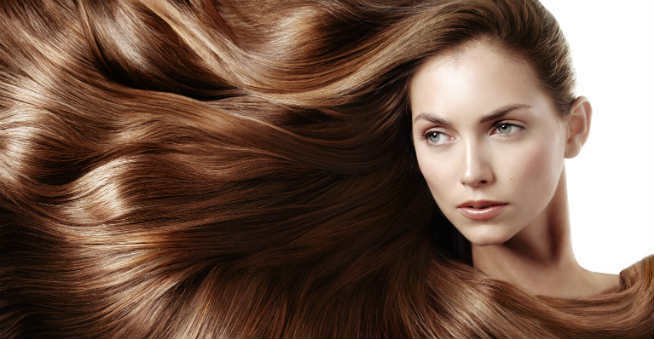 Now, boil the ingredients in fresh water and apply the strained liquid to your hair in order to get extremely shiny hair. You can also use the crushed flowers of rosemary tree and prepare a good hair tonic by blending white wine, honey and sweet almond oil with it. It will turn your hair thicker only after a few usage. Boil some fenugreek seeds in pure mustard oil. Turn off the heat once the seeds become blackish. Strain and cool down the concoction one by one. Improve the growth as well as overall health of your hair by using it regularly.